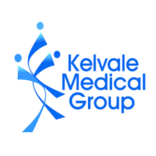 Kelvale specialise in Family Medicine. Our doctors have years of experience in all aspects of family medicine and are all accredited by the Australian Health Practitioners Regulation Agency as specialist General Practitioners. Most of our doctors are Fellows of the Royal Australian College of GPs and are GP Training Supervisors. Many of our doctors have also qualified in specialist areas increasing the services available to our patients.